Wow…. Even *I* was blown away by how yummy tonight’s dinner turned out. This dinner was an incredibly simple and amazingly flavorful meal… worthy of a blog post and definitely worth writing down so that others can make something like this for dinner sometime soon! I started with a thawed pound of jumbo shrimp that I had already peeled. Our local grocery store advertises deals on bags of frozen shrimp every week, a “buy one and get one free” sort of deal that I try and take advantage of every chance I get. Shrimp is a big favorite of 3/4 of my family (and the older one, who isn’t a fan, is now in grad school and not being fed here) so I really like to have shrimp on hand for quick go-to meals. I popped 2T of butter and two turns of the pan of olive oil into a large skillet and let it heat until the butter was browned and smelled slightly nutty. I dropped the shrimp into the pan and gave the pan time to sear each side of the shrimp until both sides were toasty. Since I knew this was going to be a simple dinner, I grabbed a bag of green beans and put them into the microwave for 5 minutes to cook. 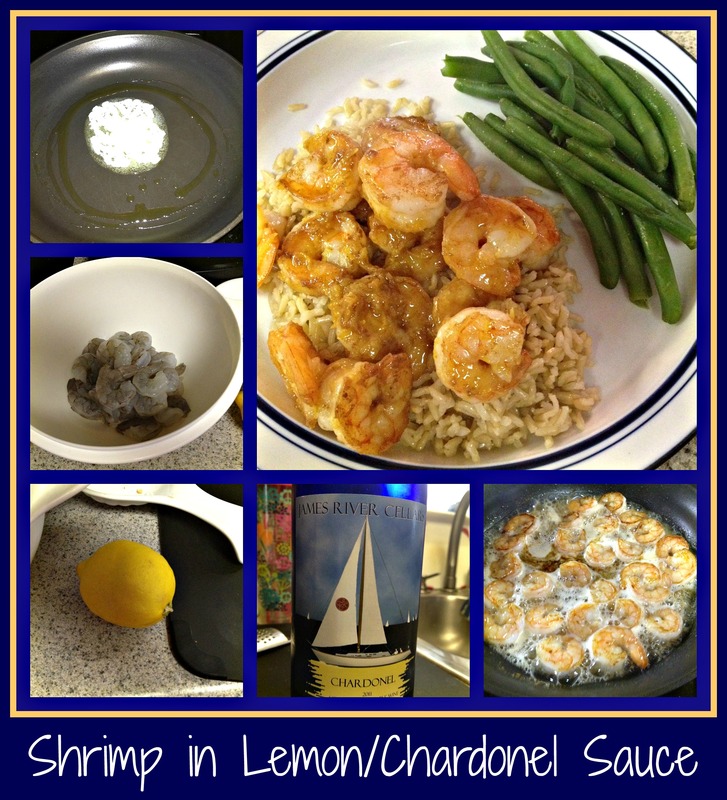 Once both sides of the shrimp were browned and nicely seared, I added the juice and zest of 1 lemon to the sauce and did two turns of the pan with James River Cellars’ Chardonel white wine. Honestly, I could have used a Chardonnay or another white wine that I liked, but I had a bottle of Chardonel open in the fridge and it was just calling to me for this dinner. 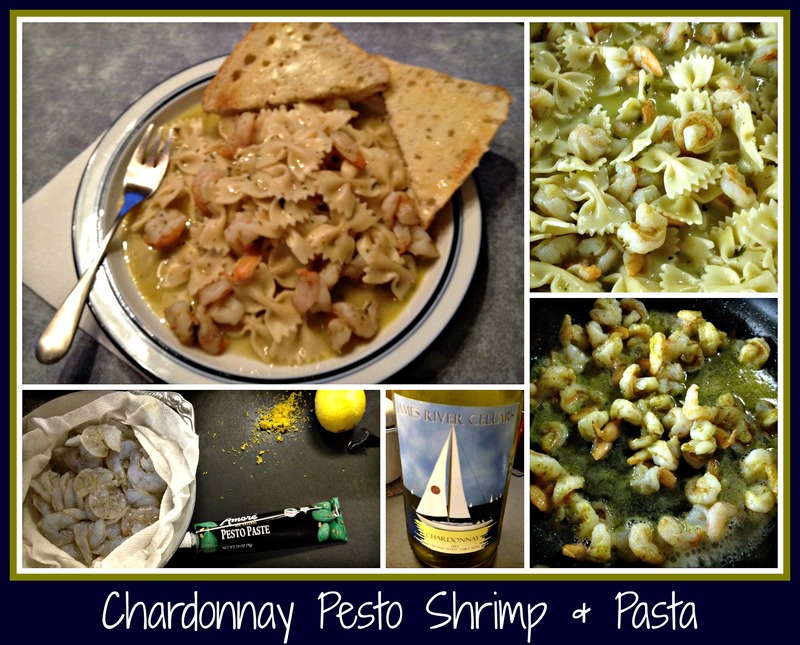 For this recipe, feel free to use/try your own favorite white wine for the sauce. Something that is light with some tropical fruit notes should fit the bill nicely. Just always make sure to cook with a wine that you’d want to drink. I allowed the shrimp to simmer in the lemon/wine sauce while I pulled the green beans out of the microwave and popped in a bag of Uncle Ben’s Brown Basmati Rice for the 90 seconds, as directed. Once the sauce had thickened and the rice was done, I plated the meal and it was done… the meal was finished and dinner was complete. This one was totally yummy and worthy of sharing with you all. Note: The next time I make this dinner, I’ll probably make pasta, instead of rice, to go along with the shrimp… that will allow me to use a bit of pasta water to stretch the sauce a bit. That’s the only real change I’d make to this dinner… otherwise, it’s just fabulous! 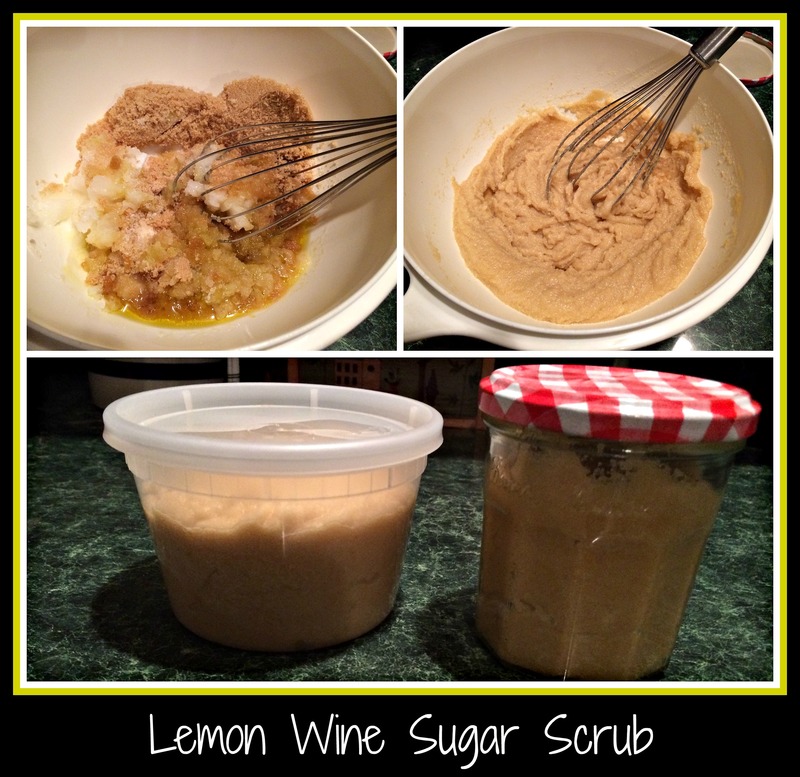 I hope you’ll consider trying this recipe. It’s easy… it’s incredibly flavorful… and it made everyone smile. That, in my book, makes this recipe a huge winner!